how to install firebug and firepath? Q: How to Install Firebug and Firepath? Firepath and Firebug are very useful and powerful Firefox add-ons that could be use to inspect and generate XPath 1.0 expressions. Before using them, you need to install them in Mozilla Firefox browser. 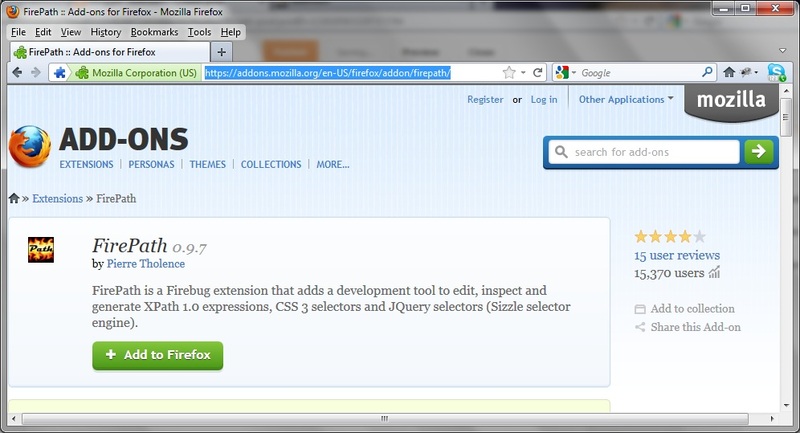 Make your Mozilla Firefox browser open and active, and then follow the steps to install firebug and firepath. Open the "Open menu" and select Add-ons section. In the Add-ons Manager page, enter FireBug in the search bar and hit the Install button. After you've installed firebug, you can install Firepath. Enter FirePath in the search bar and Install it. Now, you've installed Firepath on Firebug. Check out other methods to install Firebug and Firepath. How to install firebug, & firepath? Now that you have installed Firebug and Firepath successfully, please read this FAQ and learn how to use Firebug and Firepath.